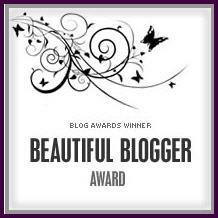 I was nominated by the beautiful Katie from Plus+ Beauty for the beautiful blogger award, and I’m so honored and grateful. I love Katie’s blog, and she’s always so sweet and supportive of other bloggers. Definitely check her blog out! It’s one of my favorites to read, and I love Tester Tuesdays so much! Link to the blogger who nominated you. Notify the amazing people that you’ve nominated them for an award. 1.I eat black olives by themselves very often. 2. I can’t stand Summer. I hate feeling hot and sticky. 3. When I was in middle school my mom wouldn’t let me wear eyeliner because she saw the “scene” trend unfolding and was mortified. 5. I read a great deal of mystery thrillers now. I didn’t like them a few years ago. 6. I think blue eyeshadow looks terrible on me. 7. I want a hairless cat named Hobgoblin. Those are my nominations, and I recommend checking out and following all of these lovelies if you’re not already! I do apologize if any of the nominees have been nominated elsewhere. That’s it for today’s award post! I hope you’re all having lovely days!